What’s good: I have seen and read many books on the motorcycling history of the 1950s and 60s. Most of them slot neatly into one or more of the following categories: dull, ill-informed, starry-eyed or amateur. 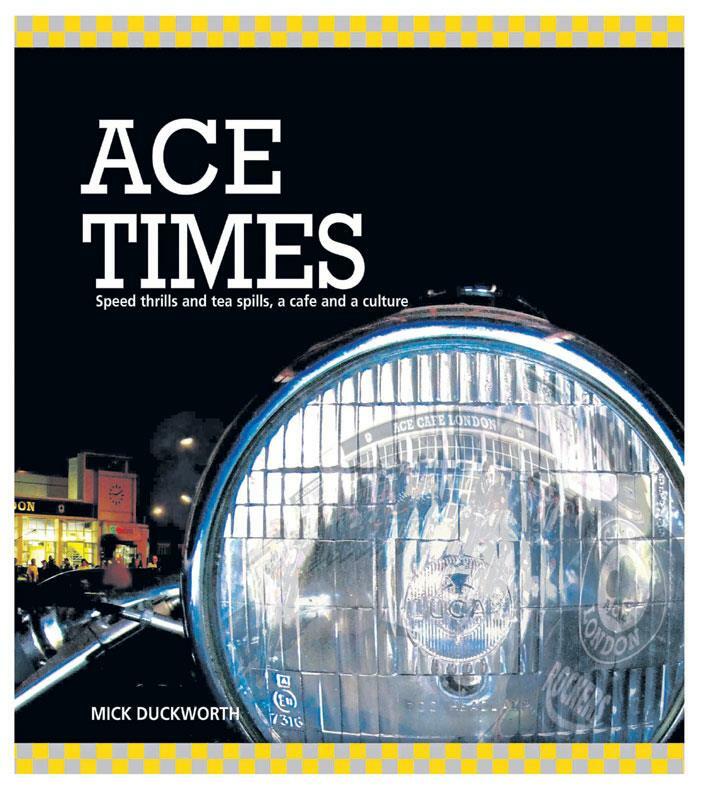 Mick Duckworth’s book ploughs its own furrow, the author bringing a vast knowledge of the times and the bikes to bear on the writing of Ace Times. I’ve spent every spare minute of the last seven days and nights poring over each of this book’s 312 pages, and can gleefully report that you’ll not see a more sumptuously illustrated and presented record of the legendary Ace Café (and other caffs across the country), its clientele, the music, the style, the essence and the truth of rock and roll from the 1930s to the present day. Some of the stories (both true and tall!) told by Ace regulars who were there at the time will even make perfect bedtime stories for your little ones. If there’s any justice in the world this book will become compulsory reading under the National Curriculum. What’s not: The otherwise joyful experience of immersing myself in this big, thick hardback coffee table book was tempered by a number of spelling mistakes (not least in the author’s name on one occasion). This is nitpicking of the highest order, stemming from my sub-editor’s upbringing – but it does mean I’ll have to knock off a star. Contact: www.redlinebooks.co.uk, www.ace-café-london.com or visit the Ace in person.